MUSES – the Multi-User System for Earth Sensing – is a commercial Earth imaging platform taking up residence on the exterior of the International Space Station to host different remote sensing instruments for commercial and scientific applications. 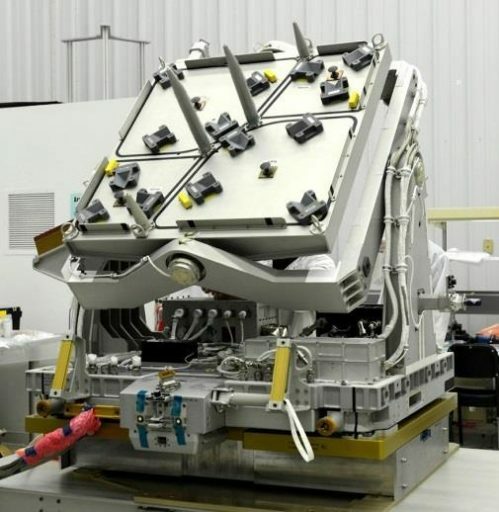 Developed by Teledyne Brown Engineering of Huntsville, Alabama, MUSES will host up to four earth-viewing payloads, providing electrical and data connectivity as well as precise pointing capability. MUSES can hold up to four instruments at a time and the system is optimized for a variety of sensors, including but not limited to high-resolution digital cameras, hyperspectral imagers, LIDARs, radars, magnetic sensors, atmospheric sensing payloads and specialized sensors for technology demonstrations. 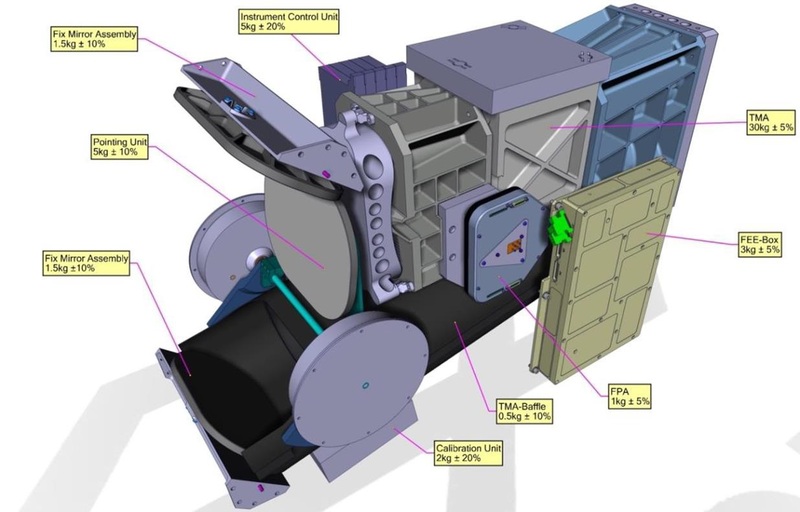 Using ISS as an orbital home allows for payloads to be changed, upgraded and robotically serviced – not possible on a stand-alone satellite mission. 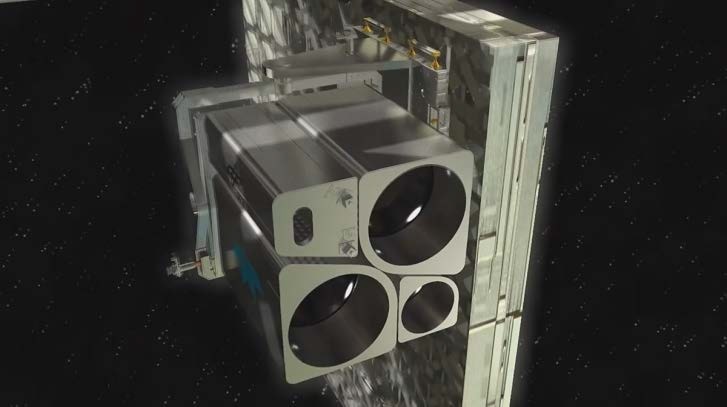 MUSES will further expand the Space Station’s research capabilities, taking advantage of the complex’s host systems such as power generation and high data-rate communications. 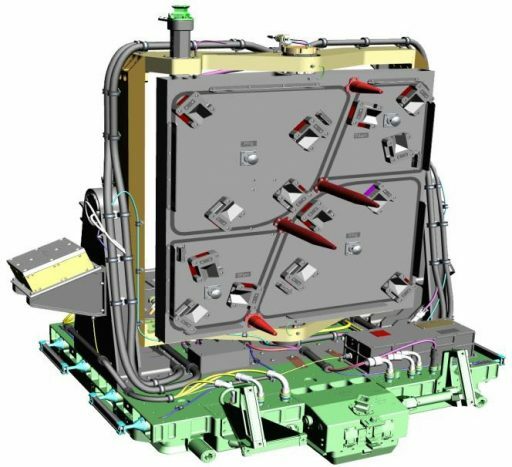 The MUSES payload itself comprises a position pointing platform and mounting interfaces for up to four Earth-sensing instruments. 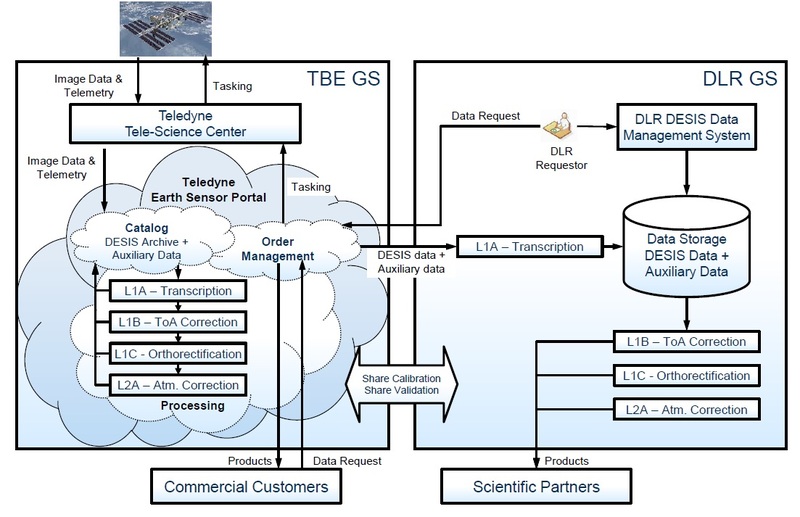 Development of MUSES was formally initiated in October 2013 by Teledyne Brown Engineering, Inc. (TBE), a subsidiary of Teledyne Technologies Inc., California, and the German Aerospace Center. 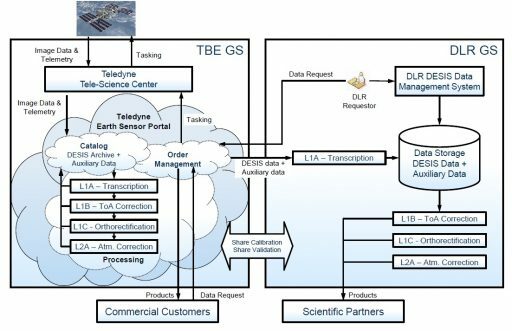 DLR and TBE signed an agreement in 2014 to install and operate the DESIS (DLR Earth Sensing Imaging Spectrometer) on MUSES. 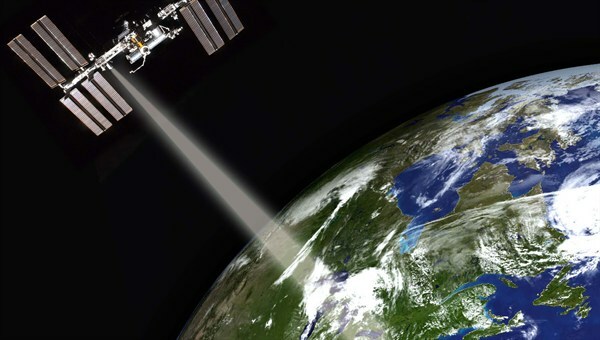 TBE also entered an agreement with NASA to provide hyperspectral remote sensing data from DESIS. 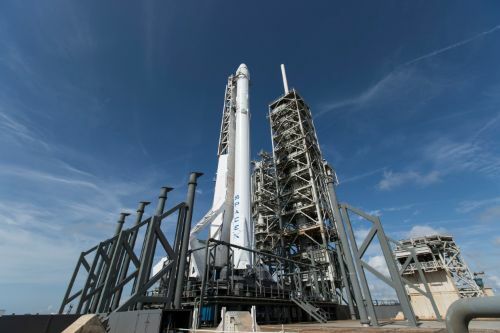 MUSES will reside in an Earth-oriented position on Express Logistics Carrier 4 on the Space Station’s Starboard Truss Segment and the platform itself measures 85 by 85 centimeters in size. 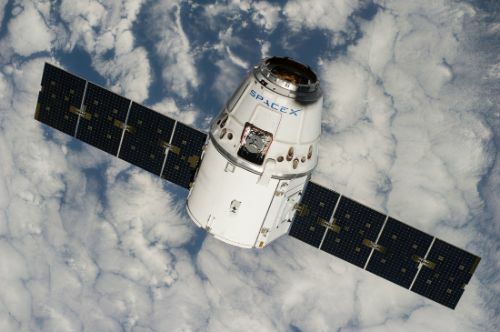 The facility is equipped with a pair of gimbals that allow it to point between +/-25 degrees in the along-track direction (forward/backward) up to 5 degrees in the starboard direction (due to visual obscuration by the solar arrays) and 45 degrees port (inboard to the ISS modules). Attitude determination for pointing is provided by a Star Tracker and a Miniature Inertial Measurement Unit. The pointing accuracy provided by the system is better than 30 arcseconds, corresponding to 60 meters on the ground from the Space Station’s altitude. The Sodern SED26 star tracker allows for precise attitude determination by acquiring images of the star-filled sky and comparing them with a catalog of stars and constellations using an onboard algorithm. The system autonomously acquires attitude data in under three seconds and tracks up to ten stars simultaneously providing an attitude frame ten times per second. SED26 can operate with planets and the Moon in the field of view and uses a baffle to eliminate sunlight with sun exclusion angles of 25 or 30 degrees. The star tracker can continue tracking acquired stars up to a spacecraft motion of 10°/s. The star tracker unit weighs 3.5kg and is 16 by 17 by 30 centimeters in size. The system uses the basic principle that counter-propagating laser beams have different frequencies with the difference dependent on rotation rate which can be measured to calculate the rotation rate about the RLG’s sensitive axis. The MIMU weighs 4.5 Kilograms being 23 by 17 centimeters in size. It has an operational measurement range of +/-375°/sec at a low bias of under 0.005°/hour. The system can tolerate the radiation conditions in Low Earth Orbit and handles accelerations of up to 25G. MUSES sources GPS data from the Space Station’s system to provide accurate timing reference to the payloads with +/-250µsec accuracy and deliver accurate position readings +/-50m for geo-tagging of measurements. 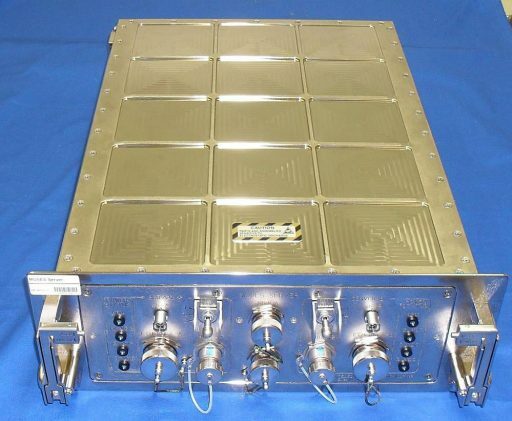 The MUSES platform is controlled by a Linux Server that runs attitude determination algorithms to command the two gimbals, routes ground commands to the instruments and accepts, stores and transmits science data to ISS for downlink. 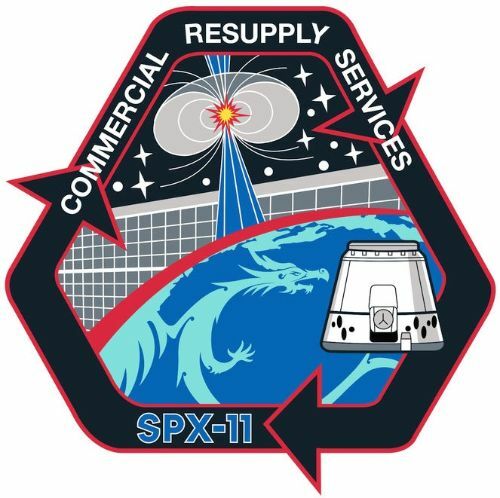 The central processing unit hosts a redundant memory of 8 Terabytes and MUSES has been allocated a daily downlink volume of 225 GB through the Space Station’s Ku-Band communications system. The internal data link of the instrument operates at 100Mbit/s and commanding is accomplished at 1Mbit/s through a 1553 interface. MUSES can hold four Earth Observation instruments- two large units and two small units. The available envelope for large units is 46 by 92 centimeters with a maximum mass of 100kg while the small units can be 25 by 92 centimeters in size and weigh up to 50 Kilograms. Per the power management plan for MUSES, large instruments are allocated 224 Watts of power (at 28-Volt DC) and small units can draw up to 112 Watts of electrical power. The DLR Earth Sensing Imaging Spectrometer (DESIS) is a hyper-spectral imaging instrument developed by the German Aerospace Center for operation from the International Space Station to deliver high-quality hyperspectral measurements for a range of Earth science disciplines. 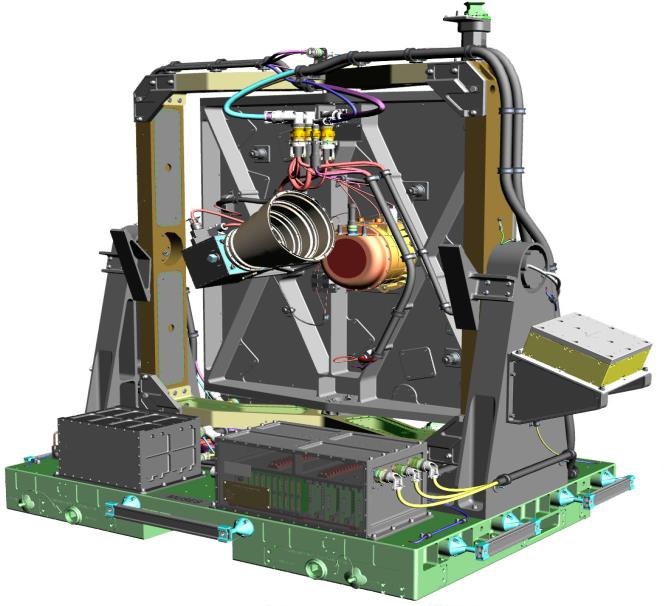 DESIS is the first instrument to utilize the MUSES external payload accommodation that takes up residence on the Station’s starboard truss segment to host up to four remote sensing instruments. 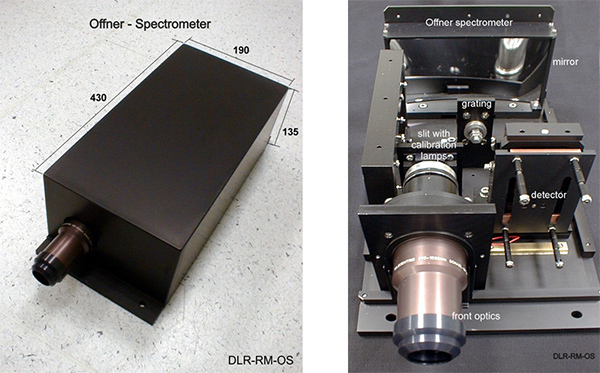 DESIS is a 235-channel spectrometer instrument covering the visible and near-infrared wavelength range (400 to 1000 nanometers) with a ground resolution of 30 meters. A wealth of information can be extracted from spectral imagery, allowing scientists to detect changes in the Earth’s ecosystems, assess the condition of forests and examine the state of agricultural land. Data from DESIS and other instruments hosted by MUSES will be combined to deliver a comprehensive set of Earth observation parameters that can be useful for a number of scientific and operational applications. DESIS also takes advantage of another aspect of operating from ISS, aiming to return to Earth after a primary mission of at least three years to provide engineers with a valuable look at how the hyperspectral imaging instrument fared over the course of a lengthy space mission, helping improve the design of future hyperspectral payloads headed into orbit aboard stand-alone satellite missions. DESIS employs an Offner-type spectrometer fed by a Three-Mirror Anastigmat (TMA) Telescope, operating as a pushbroom sensor – sweeping out a 30-Kilometer wide image swath through the orbital motion of the host spacecraft. The Three Mirror Anastigmatic design was chosen since it provides a larger field of view than the conventional Cassegrain or Ritchey-Chrétien systems. Physically, DESIS measures 43 by 19 by 13.5 centimeters in size and weighs around 88 Kilograms. Internally, the instrument comprises the foreoptics, the TMS telescope, the spectrometer, a calibration unit and an electronics assembly. The DESIS telescope has a focal length of 32 centimeters and relies on metal-based mirrors. Similar materials are also chosen for the mirror mounts and the instrument housing to create an athermal behavior of the opto-mechanical system. 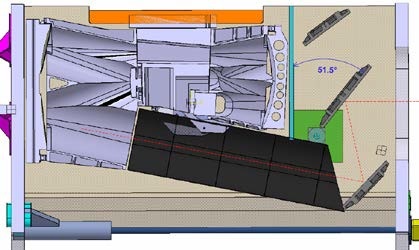 The TMA telescope images the ground strip under observation onto the entrance slit of the spectrometer wherein the incoming light is separated by wavelength using a reflective grating and a mirror to reimage the slit onto the detector assembly. The TMA telescope hosts three aspherical mirrors aligned on a single optical axis, all three share a common vertex to ease the alignment of the instrument. The metallic mirror surfaces were prepared by Single-Point Diamond Turning followed by Nickel-plating and Magneto-Rheological Finishing. DESIS hosts a pointing unit that allows the instrument to target any position between +/-15 degrees along-track, giving the instrument some independence from the MUSES platform and also allowing for additional features such as stereo imaging, forward motion compensation to enhance signal-to-noise, and the production of BRDF (Bidirectional Reflectance Distribution Function) data. The Pointing Unit consists of two fixed and one rotating mirror after the instrument’s entrance aperture. By rotating the second mirror, the instrument can select its viewing direction, typically operating at 3-degree steps for viewing direction adjustments and in a dynamic mode at speeds between 0.6 to 1.5°/sec for motion compensation at 0.06° accuracy. The Offner Spectrometer uses a minimal number of optical components – a lens, slit, primary mirror, convex grating and array detector. The corrected, telecentric lens with flat-field and minimal aberration focuses the incoming image onto the slit. After the slit, the image falls onto a large, concave mirror which images the pupil onto the dispersive grating that separates the light into its different wavelengths and reflects it back onto the lower half of the primary mirror to re-image the slit on the detector. The convex grating has a specially designed groove profile for suppression of the second order spectrum and polarization insensitivity over the entire spectral range of the instrument. DESIS utilizes a 2-dimensional back illuminated CMOS (Complementary Metal Oxide Semiconductor) detector array with 24µm pixels. 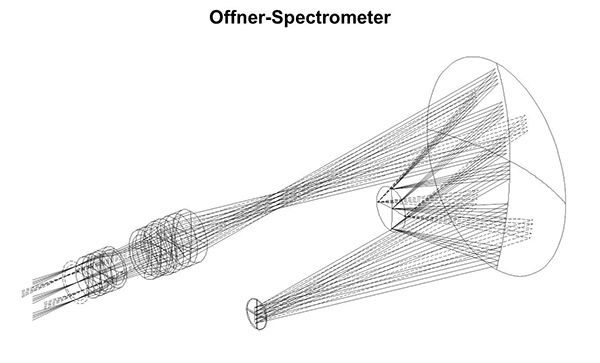 The focal plane array hosts 1056 pixels in the spatial direction to achieve the desired image resolution and 256 pixels in the spectral direction. The instrument employs a 12-bit pixel readout quantization plus 1bit for low and high-gain setting. During normal operation, the instrument reads out 235 spectral channels, creating a spectral resolution of 2.55 nanometers. Onboard processing enables binning two, three or four channels to reduce the data volume at the cost of spectral resolution. The detector is operated at a maximum frame rate of 232 Hz. In-flight calibration is provided by a dedicated unit within the instrument housing that hosts laboratory-calibrated LED light sources emitting different monochromatic and white light between 400 and 1000nm. The calibration source is located close to the Pointing Unit Mirror to allow the illumination of the full field of view with color and white light. Thermal variation on the calibration unit will not exceed 1K to ensure a constant output. The core motivation behind DESIS is to deliver a constant stream of hyperspectral data for the majority of land masses of Earth, plus adding a new class of hyperspectral data other sensors can not provide. Using its pointing unit, DESIS can penetrate the atmosphere in different angles (+/-40°) which allows a separation from volume to surface BRDF effects. The Bidirectional Reflectance Distribution Function (BRDF) is a fundamental radiometric parameter that is dependent on the vectors of solar incidence, outgoing reflection and surface normal as well as the properties of the surface itself. 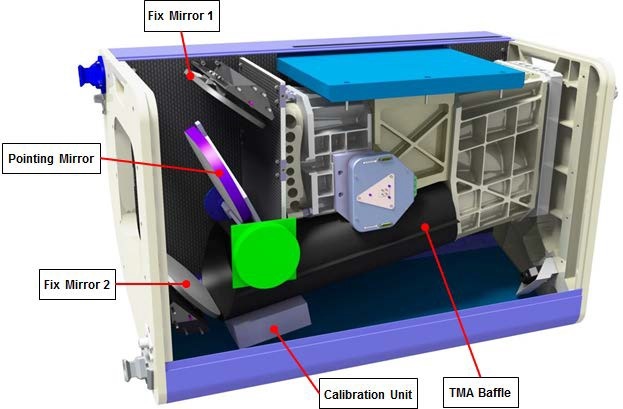 This measurement is of relevance for the correction of in-situ or satellite measurements of Earth’s surface and needs to be taken into account in order to standardize collected data from different sensors to make them comparable with each other. BRDF correction is typically completed using algorithms that are based on measurements conducted on different surfaces and DESIS is expected to add high-quality spaceborne data for the refinement of correction models. DESIS is also able to study lightning at high spectral resolution, using its forward motion compensation mode to observe lightning on the nightside of Earth. The DLR is also interested in obtaining nighttime measurements to investigate florescence effects measurements in a surrounding of mega cities as well in the country side. Data delivered by DESIS goes through several layers of processing, beginning with Level 0 data products that are processed internally and include all instrument health parameters in addition to raw science data. Level 1A is the data form to be put into long-term archives, comprising raw data sets after radiometric, spectral and geometric correction and calibration along with instrument metadata. Subsequent levels are processed on demand before being delivered to the user – Level 1B contains data that is radiometrically calibrated, spectrally characterized, geometrically characterized, annotated with satellite position and pointing, landmarks and preliminary pixel classification; Level 1c is 1b data orthorectified, re-sampled to a specified grid. Final data products (Level 2A) are atmospherically corrected data with Earth located pixel values converted to ground surface reflectance. Teledyne receives the raw data from DESIS and has the exclusive rights for marketing data products to commercial customers. The German Aerospace Center has the right to task DESIS measurements and request archived data to be used in scientific and humanitarian purposes only.